Many students are confused about whether data science is a part of the computer science. In fact, data science belongs to computer science yet remains different from computer science. Both terms have similarity, but there is a significant difference between the two. Computer science has various small domains, such as artificial intelligence, analytics, programming, natural language processing, machine learning, web development and a lot more. Data science is also a part of computer science but it requires a lot more knowledge of maths and statistics. In other words, computer science deals with programming software and hardware where data science deals with analytics, programming, and statistics. So, if a computer scientist concentrates on programming, statistics, and analytics, he/she can become a data scientist. Let’s first define Computer science and Data science separately. What is the Computer Science? Computer science can be defined as the study of computer architecture, design, and its application in science and technology. The application of computer science has various aspects and technical concepts, such as networking, software, hardware, and internet. The knowledge of computer science is different for its different fields, such as design, architecture, and manufacturing etc. programming language, numerical analysis, bioinformatics, software engineering, and theory of computing etc. Data science is the study of different types of data, such as unstructured, semi-structured, and structured data. The data can be in any format available and is used to get information that it contains. Data science includes a number of technologies that are used for studying data. It is called data mining, data purging, and data transformation etc. Data science focuses on exploiting the modern deluge of data for prediction, exploration, understanding, and intervention. So, it emphasizes effective communication of the outcomes of the data analysis. Moreover, data science gives priority to the knowledge of optimization algorithms by managing the needed tradeoff between speed and accuracy. What is the Difference between Computer Science and Data Science? Computer science is the study of the functioning of computers while data science is finding meaning within big data. The students of computer science learn advanced computing that include database systems, in-depth experience in developing an application at an enterprise level. On the other hand, students of data science learn about mathematics and analysis of large data sets using computer applications, such as data visualization, data mining, efficient data management, and predictive analysis of data. Computer science is for developing technology in cyber security, software, and intelligent systems; while data science is based on skills that are required for data mining, and clarifying the meanings of vast data sets that are used for decision making in organizations. Computer science is important as it is the major mover in technological innovations of today. However, data science has more importance for an organization, and its application requires experts in data mining and analysis. Students of computer science have the option to choose among the careers of an application developer, computer programmer, computer engineer, database developer, database architect, data centre manager, IT engineer, software engineer, system programmer, network engineer, web developer, and network administrator. On the other hand, students of data science can choose the career of computational biologist, data scientist, data analyst, data strategist, financial analyst, research analyst, statistician, business intelligence manager, and clinical researchers etc. In simple words, computer science only focuses on computers and its programs. 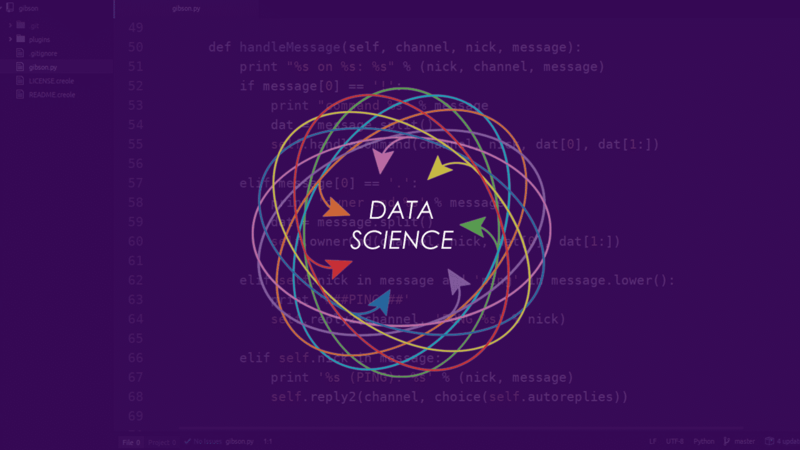 However, data science can’t be defined in a clear-cut way because it is an interdisciplinary field of knowledge that involves statistics and computer science. No matter what is your preferred area of studies, but the study of computer science brings you to success as it provides you with the basis for data science. Sir,write a article on the various types of computer software courses from small to big…. I want to know everything about Computer Software field from History to present day ..
and I have tried many time on Internet but I can’t reach to got everything and search perfect knowledge field.